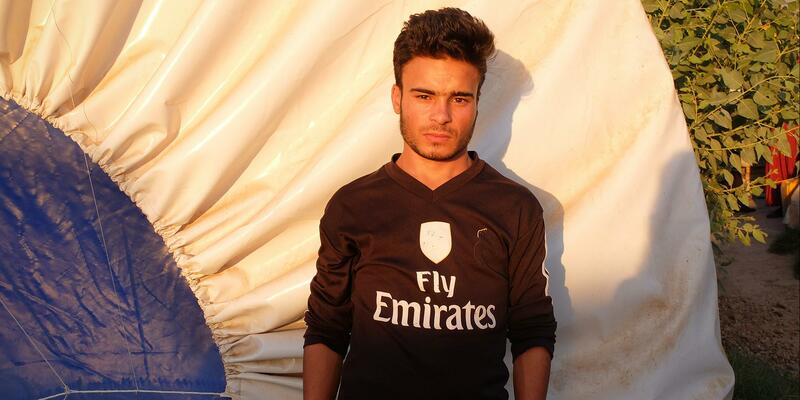 Khalid is a 17-year-old boy from Iraqi Yazidi minority, which was the most persecuted by the Islamic state. He was born with unilateral hearing loss. In August 2014, while fleeing from ISIS with his family, their car ran out of the petrol. His parents tried to search for it in the nearest house. In the meanwhile, a bomb exploded close to their car and during that event, Khalid’s tympanic membrane in healthy ear broke. 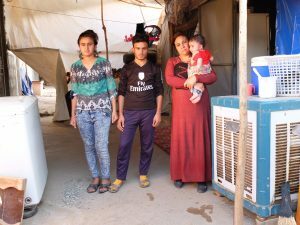 After a few difficult days on the road, first by car, then even by walking, his family finally found a temporary place to stay in an unfinished building. Khalid did not receive the medical care needed on time. At the end of 2014, he moved to a refugee camp where a new health issue occurred. He developed the inflammatory bowel disease. Bloody diarrhea and severe abdominal pain were part of his daily life. Despite the circumstances, Khalid never gave up. He continued visiting the school in the camp. While losing hearing gradually, he has learned how to read from teacher’s lips and he became a smart student. Our organization supports him since 2015. At the beginning, we provided him with hearing aid, which was sufficient temporarily. Now the only solution for him is a cochlear implant surgery, which is available in private hospitals and is extremely costly. We launched a crowdfunding campaign and we keep hoping that a day will come to afford this surgery. You can follow his fundraising on the attached link: goo.gl/LkBxKn. The other possibility to support him is by donating money for the medication to suppress the inflammatory disease, which he needs to take chronically. We are grateful for any financial help for this boy with an unfortunate destiny.